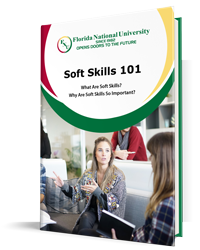 Florida National University offers you all of this and more! We’re a regionally accredited university that offers a stellar education in class and online with financial aid available for qualified students. We’ll even help you find employment after graduation, and our FNU students have a high success rate. What is the Career Outlook for Natural Sciences Majors? – Help find ways to improve the safety and efficiency of agricultural facilities and products. For entry-level positions, a bachelor’s degree is required. The average median salary is reported to be $62,910. – Study weather and climate, and its effects on the earth and its inhabitants. For entry-level positions, a bachelor’s degree is required. The average median salary is reported to be $92,070. – Conduct lab research and experiments to improve biological and medical advancement. For entry-level positions, a bachelor’s degree is required. The average median salary is reported to be $43,800. – Take part in developing protocols to manage land and natural resources. For entry-level positions, a bachelor’s degree is required. The average median salary here is reported to be $60,970. – Apply your knowledge of Natural Science to combat pollution and advise policymakers to improve environmental and human health. For entry-level positions, a bachelor’s degree is required with an average median salary of $69,400. – Study global water movement and future trends to improve water quality and accessibility. For entry-level positions, a bachelor’s degree is required with an average median salary of $79,900. – Advance the study of animal and human behavior as well as the impact of civilization on ecosystems and wildlife habitats. For entry-level positions, bachelor’s degree is required with an average median salary of $62,290. What Kind of Coursework Can I Expect? We’ve composed a rigorous curriculum of comprehensive programs to award associates, bachelors, and master’s degrees that will prepare you for a challenging and rewarding career. You’ll receive foundational education in core areas like English, communications, technology, and mathematics. 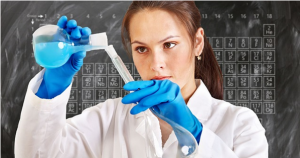 We also offer a broad range of scientific subjects that includes chemistry, biology, and physics. There is also a concentration that requires a minimum of 18 credits and includes subjects like classroom management, teaching diverse populations, and methods of teaching and learning Natural Sciences. What Are the Benefits of Studying at FNU? 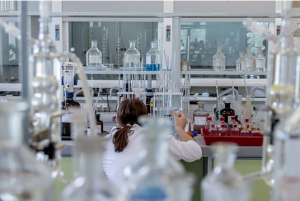 According to the most recent available statistics from the National Science Board, more than 20.6 million students enroll in undergraduate science and engineering programs each year. Since 1982, we’ve remained steadfast in our commitment to providing quality higher education programs to local, national, and international students alike. We offer two modern fully equipped campuses in South Florida at Hialeah and Miami, as well as distance learning to serve students who want to study remotely or who have work or family obligations. Our licensing includes the State of Florida, Department of Veterans Affairs approval for veteran’s training. We also offer a military-friendly online studies program to award associates and bachelor’s degrees to those who serve our country. This program is structured in eight-week terms with new classes beginning every two months. No classroom attendance is required. Ask about our online learning option when you apply. FNU undergraduate degree programs provide a foundation in the field of Natural Sciences, freeing you to choose a specialization if you intend to apply to a master’s or doctoral program later on. Our regional accreditation covers graduate and undergraduate degree programs, certification courses, and distance learning programs at all levels. We also offer continuing education and professional enrichment for educators, dual enrollment for high school students, international studies programs, and financial aid access that include federal student loan programs, grants, tuition incentives, and scholarships. Our educational model is to provide comprehensive degree programs that are geared toward real-world success. To that end, we try to make it as easy as possible for students to apply. That accessibility includes an online application portal that you can also use to track your application status. You can earn more about program prerequisites, financial aid, and other information when you contact FNU directly. Start today!